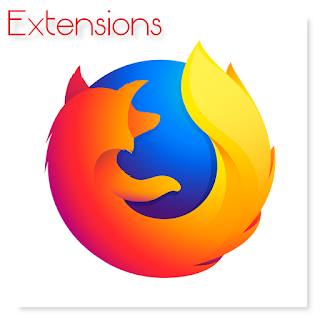 Extensions are used to give additional features to your browser. Mozilla Firefox has a tonne of extensions available to choose from. You can use these extensions to add features such as ad-blocking, form filling, enhance browser security and so on. With lots of extensions available for Firefox, its becomes a bit tedious to find the right extensions for your needs. In this article, I have listed out a few must-have extensions that will help you browsing the internet through Firefox. Have you ever been in a situation where you where you are typing up a form and the browser crashed or something went wrong, and you had to type the whole form again? I have been a victim of this for a number of times. But after adding Lazarus, life has been easier. If your browser crashes or something else happens that interrupted you while filling up a web-form, you can recover what you had typed with the help of Lazarus. Lazarus saves forms as you type so that you can recover your form if anything goes wrong. All you have to do is right click on the browser and select Recover form. This extension will force the browser to use HTTPS on any website that supports the HTTPS. HTTPS ensures a secure communication over a computer network. With HTTPS, all communications between the browser and the website is encrypted. HTTPS Everywhere will make sure that HTTPS is used while browsing through websites that supports it. At some point or the other, have you ever wished that you could stop seeing those irrelevant ads that you have to go through while browsing the internet? With Adblock Plus, that wish can be made true. With Adblock Plus extension, you can avoid online advertising as well as known malware domains. There’s a Filter Preferences feature which will allow some non-intrusive advertising. This shopping extension turned out to be my best shopping partner. What this extension does is, whenever you shop, it searches for the same product available at lower prices. InvisibleHand can also be used for hotels as well as flights too. You can also get view product reviews of the item that you are interested to buy. I’m pretty sure many of you have sent e-mails in which you made small typos which could have been embarrassing or worse. No matter how careful there are times that some small mistake escapes your eye. Whether it be an e-mail or a social media post or a document mistakes tend to creep in and most of the time you don’t bother with checking for mistakes because you’re too busy or maybe just too lazy. Don’t worry, there’s a perfect extension tailored for such cases. Grammarly will help you with your spelling and grammar in platforms like Gmail, Twitter, Facebook, blogs, and almost everywhere on the Internet. With Imagus, you do not have to open images in new tabs to view the full size of the image. Imagus helps you to enlarge images with just a mouse hover. Just move the mouse pointer over the image and a full size image will be shown. So, no more new tabs just to see the full sized version of the image. This extension is like a to-do list of websites. You can save web sites, articles, IMDB pages, etc., as tasks to the to-do list. This Task Manager extension helps you to manage tasks from anywhere, that is, you can do it from phones, tablets, desktop, browsers, etc. You can prioritize your tasks, plan ahead, set deadlines, etc., so that you do not miss out on anything. With the help of Evernote Web Clipper, you can save web content into your Evernote account. You can clip pages and articles and save them. You can clip the articles or text or images that you want and do not have to save the entire webpage. You can also share the clipped pages through Work Chat, post them to Twitter and Facebook, etc. This is a password manager extension that will help keep in track with all your passwords. In this age of everyday hacking, it is a must that we change our passwords regularly and the passwords have to be highly strong as well to ensure that no one can hack into our accounts. Sometimes the highly strong passwords we come up with are difficult to remember. This is where LastPass comes into play. It can manage all our passwords and all we need to do is remember a master password for LastPass. It fills up your login credentials instantly. With Xmarks you can synchronize bookmarks and open tabs across computers and browsers. It gets all the bookmarks from your browsers that have Xmarks installed and keep it synchronized. This is a good way to get all your bookmarks at one place. It can also sync open tabs across Firefox, Chrome and IE as well. These are some of the extensions that you should have in your Firefox browser. If you have any other extension that you feel as a ‘must-have’, feel free to comment below.